EPW023413 ENGLAND (1928). Station Approach and the junction of St Mark's Hill and St James' Road, Surbiton, 1928. This image has been produced from a copy-negative. 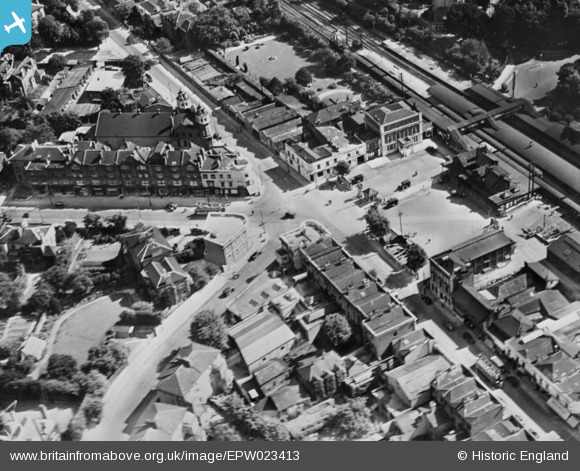 Title [EPW023413] Station Approach and the junction of St Mark's Hill and St James' Road, Surbiton, 1928. This image has been produced from a copy-negative.